Welcome to Patrick O’Brien’s Music comprising of songs written and composed by Patrick. A varied selection of genres mainly Folk & Blues. 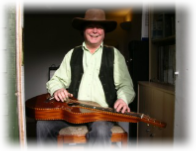 He comes from the era of the early folk and blues in and around London in the sixties and seventies. A constant visitor to the Marquee Club, Beat City, The Crypt, The Ealing folk club and the Troubadour. He moved to Bath in 1973 and often played at the Walcot festivals in the seventies with a band called Under The Sun a big soul music band. Then with a country blues band called Pyramid. Coming from an Irish back round he also played traditional Irish and Scottish music centred around a dance Ceilidh Band called The Extra Hot Mango Chutney Ceilidh Band.This band performed for many years at the Glastonbury Festival Through the seventies,eighties and into the nineties. 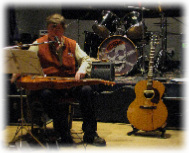 Many of the gigs were for various charities in and around the West country. Patrick will fit in a varied range of early and current recordings into the music pages so relax and enjoy some music. Music started at a young age in Ireland singing with Aunts and Uncles around the table with all the neighbours popping in to do their bit. At the age of 13 he was in a show band in Ireland, The Aces specially formed for the summer holidays travelling around all the horse fairs in Ireland, they were all 1st , 2nd and third cousins. In those days it was Jim Reeves, Hank Snow and such like covers and some Shadows stuff, Apache springs to mind. Raised in the London Irish areas of London Kilburn, Hammersmith, Shepherds Bush and Ladbroke Grove. We all used to attend the Irish music clubs as opposed to the Palais de Danse in Hammersmith. Returning to Ireland every year to continue the summer tours, until hippiedom arose, He embraced this lifestyle to the full and played in a few hippy bands. He was involved in a hippy buskers co-op busking at the Baker Street underground, There were around 8 musicians living with a mother and her 3 daughters who would come and pass the hat around, it worked very well and the living was good. We aspired to move into the Incredible String Bands cottage in Wales after they moved out. When we arrived with all our gear the farmer owner said, “ I don’t want any more hippies coming in and painting all the walls again.” We all thought it looked great the vibes were there. Alas we ended up moving into an abandoned light house overlooking St .Davids Head it was a coastguard station with the flashing light on top. Two members of the band promptly returned to London to get the rest of their gear. never to be seen again. We , the remaining two braved out the winter storms with the gales howling up the stairs and with the waves crashing over the lighthouse. I returned to London to find the missing other two, returned to the lighthouse only to find it boarded up with no sign of clothes ,guitars, amps, record collection just a few empty beer cans. He returned to London to help form a new band in Shepherds Bush, Peace Train. Then we moved up to Golders Green. We toured Europe in general and later we added a double decker London bus with a troupe of dancers to add to the show. Took the bus back to Europe, which attracted the desired effect lots of bookings, but with no funds. Moved to Bath to join a band called Under The Sun a big soul music sound setup. Toured throughout Europe. One memorable Gig was at the Zoom Club in Frankfurt, a four night residency. Every night there was a police raid for substances everyone was ordered out while a search was made. When we returned each time a piece of equipment was missing until the last night when the mixer was missing, this signalled the end of the tour. On the return journey the old Citroen car lost its hydraulic suspension. We towed the vehicle back to Bath. Coming down Lansdown Hill, a very steep hill, the tow rope snapped and the car ended up wrapped around a lamppost. We saved the bench seats as they were very luxurious. It was a very expensive tour, but we carried on. Deep joy. He then joined a country blues band Pyramid played local gigs only no more tours. Next He was invited to join an Irish band playing traditional Irish music with Irish set dance gigs, getting back to the old roots. This band The Extra Hot Mango Chutney Ceilidh Band lasted for over 20 years. 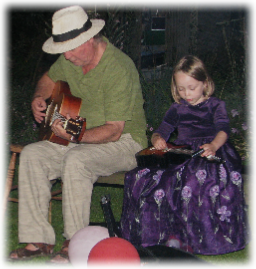 We played a lot at the early Glastonbury festivals, Trowbridge Village Pump festivals and various barns and marquees. We were famous for dancers breaking legs and ankles during the wild dances which were mostly invented to be extreme energy. The whirling helicopter dance springs to mind, where the ladies are spinning horizontally legs parallel with lots of screams in a circle dance with 4 couples. After this there was The band Nibrien original songs and traditional Irish tunes. Next Coldnose with Dave Sawtell. Then solo as Padraig O’Brien. Then with a variety of line ups listed below. The Duo Kevin De Las Casas & Paddy O’Brien, The Awful Truth, Tusker, The Northington Street Gospel Choir project, Catfish, New Band of Pilgrims Gospel project, solo again. Currently playing with Peas in a Pub. There were a lot more combinations, these are the ones he can just about remember.